Authentic Italian restaurant group opening in Santa Clara this fall with first female head chef in company history. Restaurant to be part of the Irvine Company's newly-built Santa Clara Square located in the heart of Silicon Valley and close to Levi's Stadium and the Santa Clara Convention Center. I am delighted announce the first female chef in Il Fornaio's 30 year history. Il Fornaio, the celebrated Italian restaurant company with locations throughout the US, is shaking things up a bit as it unveils its 23rd restaurant at Santa Clara Square this fall. With a rustic design and a more casual vibe, the restaurant will be open for lunch and dinner and will feature classic Il Fornaio favorites as well as some more modern elements for a new generation. The newest Il Fornaio will be groundbreaking in another way: it will be the first one in the 30 years of the company’s history to open with a female chef at the helm. 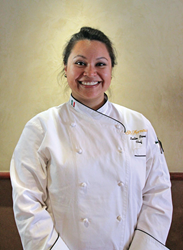 “I am delighted to announce Leslie Pineda as the Chef of Il Fornaio in Santa Clara,” said Maurizio Mazzon, Il Fornaio’s Executive Chef. “Leslie has done an outstanding job at both our Walnut Creek and, most recently, our Palo Alto restaurants, ensuring that the authentic Italian food that comes out of our kitchens is at the level our guests expect from Il Fornaio.” Prior to joining Il Fornaio in 2010, Pineda was executive chef for Francis Ford Coppola at his restaurants in Palo Alto and Napa. 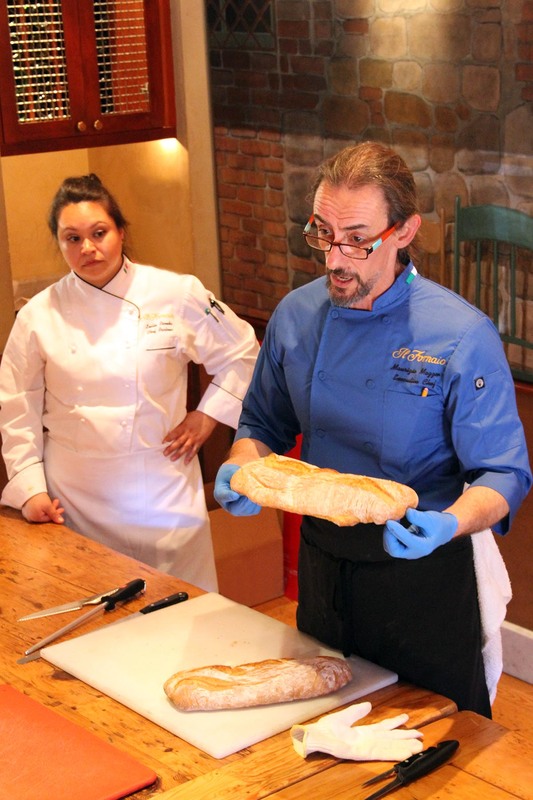 She also worked at Restaurant Gary Danko in San Francisco and is a graduate of the California Culinary Academy. 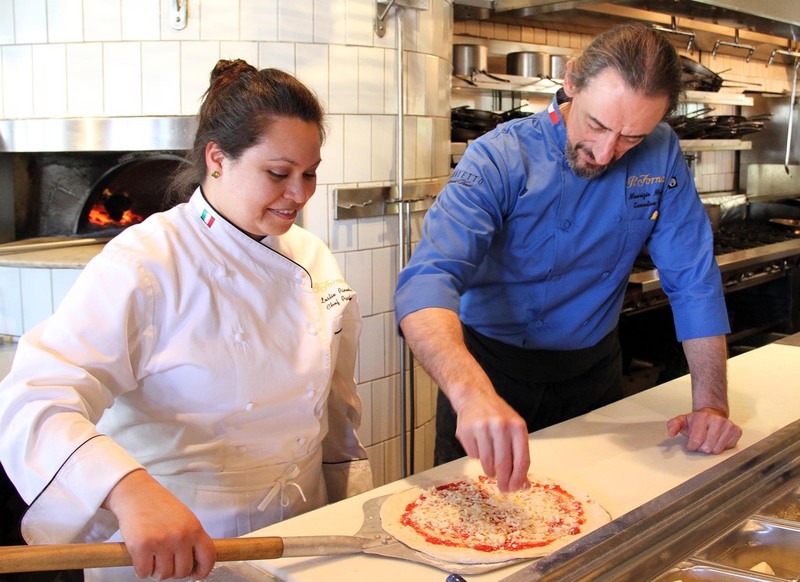 Under the direction of Chef Pineda and Executive Chef Maurizio Mazzon, the newest Il Fornaio is on track to be one of the most exciting openings to hit Santa Clara since Levi’s Stadium opened in 2014. Founded in Italy in 1972, Il Fornaio joins Whole Foods, 600,000 square feet of new office space and 2,000 new residential units at Santa Clara Square. The restaurant will occupy the corner of Bowers Avenue and Scott Boulevard, two blocks from the 101 freeway and two miles from Levi’s Stadium and the Santa Clara Convention Center. This location is almost equidistant from the company’s other Silicon Valley restaurants in Palo Alto and San Jose. True to Il Fornaio’s signature style, the restaurant will offer a core menu consisting of classic antipasti such as the Calamari Fritti (deep fried baby squid) and Minestre e Insalate such as their vegan Minestrone and Insalata di Bietole (organic red and gold beet salad with wild arugula, toasted walnuts and Asiago cheese). Piatti Unici – “unique dishes” – serve as perfect one dish meals for lunch such as the Insalata di Tonno (seared sushi-grade ahi tuna served with a baby arugula salad with couscous, tomatoes, red onions, capers and raisins). All fresh pastas are made on-site including the Cappellacci di Zucca (ravioli filled with butternut squash and walnuts). The pizza oven is the central hearth of the kitchen and will be turning out hundreds of thin-crust Neapolitan-style pizzas including the Cristina (fresh mozzarella cheese, prosciutto, shaved Grana Padano, mushrooms and wild arugula, drizzled with white truffle oil). To taste the Tuscan essence of Il Fornaio, order the Pollo Toscano (free-range chicken seasoned with rosemary). To complete the dining experience, a wide variety of desserts made in-house include a traditional Tiramisu and Soffiato al Cioccolato (warm almond-hazelnut chocolate cake topped with caramel-sea salt gelato). All Il Fornaio restaurants feature a Wine Spectator award-winning wine list that highlights a robust selection of Italian and California red and white wines. The full bar will offer signature cocktails that include the Rye Smash (Bulleit rye, Luxardo Maraschino, fresh lemon juice and mint), the Sicilian Sunset (Casa Noble tequila, Aperol, grapefruit and lime juice and organic agave syrup), as well as the Rosso Delizioso (Caliche rum, orange blossom liqueur, fresh lime juice, strawberries and raspberries). 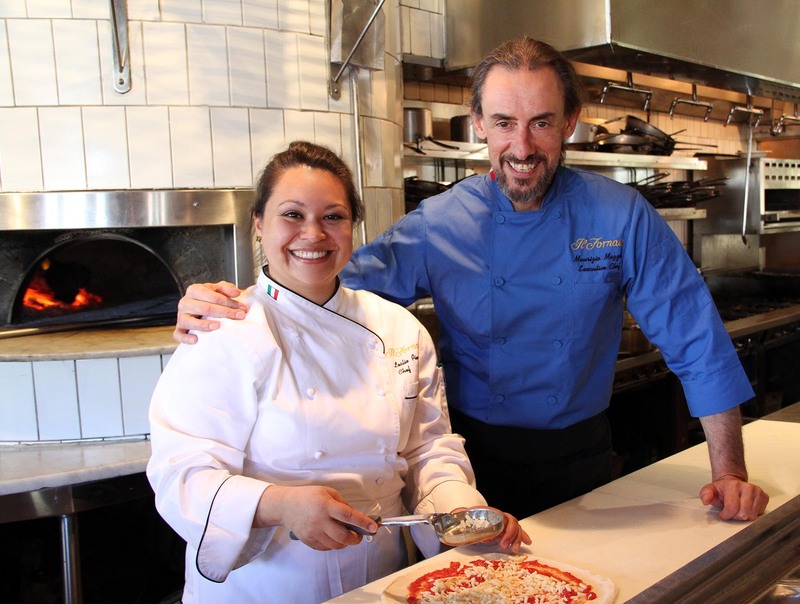 Il Fornaio will be located on Bowers Avenue in Santa Clara, California. It will be open daily for lunch and dinner Sunday - Thursday from 11:30 a.m. - 10:00 p.m. and Friday – Saturday from 11:30 a.m. - 11:00 p.m. For more information, please visit http://www.ilfornaio.com. Il Fornaio is also on Facebook. Founded in Italy in 1972, Il Fornaio owns and operates 22 full-service Italian restaurants in California, Denver, Seattle, Las Vegas and Reston, Virginia that serve creatively prepared, premium-quality Italian cuisine based on authentic regional Italian recipes. Each month the chefs of Il Fornaio present a new menu based on the recipes, traditions and flavors of a different region of Italy. Wines from that region are imported to complement the award-winning core wine list. In 2014, Il Fornaio’s dedication to authentic Italian food and hospitality resulted in the company receiving the “Marchio Q” award from the Italian government. The award is bestowed on those restaurants who pass a rigorous inspection for their use of and dedication to authentic Italian ingredients, preparation methods and, above all, hospitality. For more information, visit http://www.ilfornaio.com.